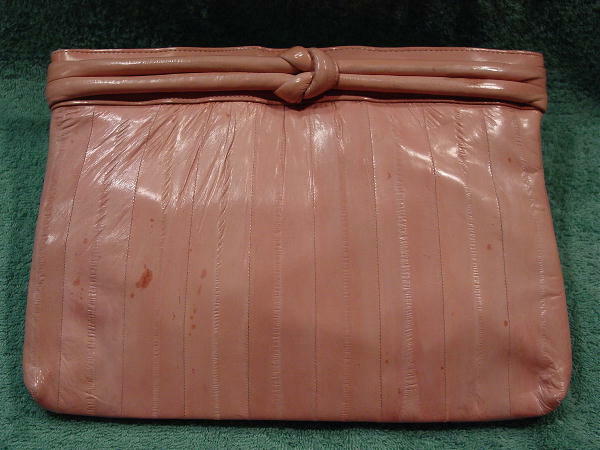 This light baby pink vintage purse has vertical strips of eelskin. The front has a top 1 3/8" wide vertical strip of eelskin which goes all the way around the top. There are two rolled strips of eelskin running horizontally across the top with a center knot. 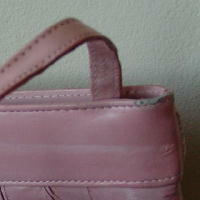 It has side hinges and a pink patterned lining (which feels like nylon) and a back interior zippered pocket. The back upper right side corner has a worn spot. 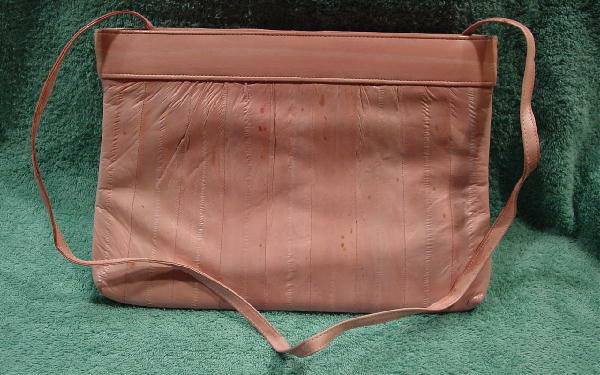 It has a color matching 36" long by 3/8" wide eelskin shoulder strap. 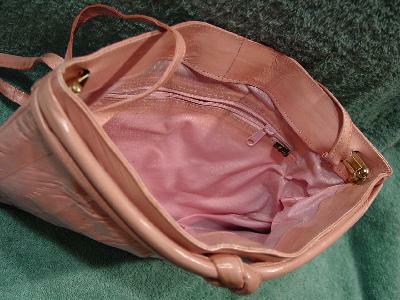 You can tuck the shoulder strap in and carry the purse as a clutch. The "spots" on the front and back are a natural part of the eelskin. The upper corners have worn spots. It's extremely soft and smooth. She said she had matching pumps too, but she wore them out.